It’s Friday, I’m off from work and I am hankering for a good and hearty breakfast. 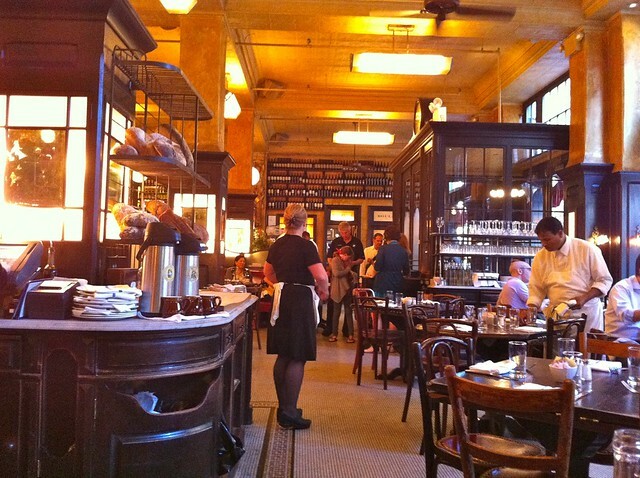 Not just any breakfast but one that comes with a great ambiance and wonderful service, just like in Balthazar. 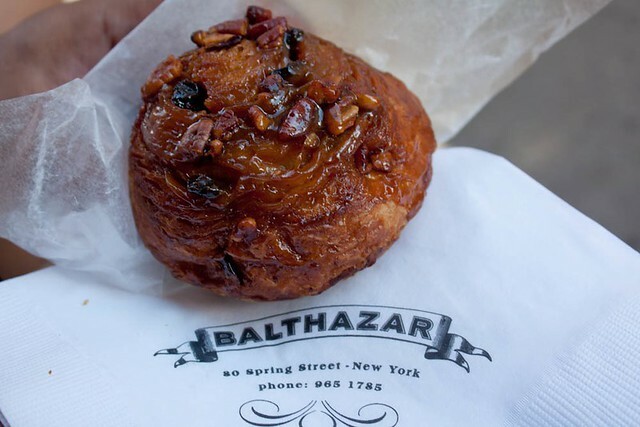 Last year while visiting New York, on our last day we decided to visit a few places in the SoHo district and since we were there early, most places were still closed. I remembered this place was around the area so we decided to go here and try their breakfast. 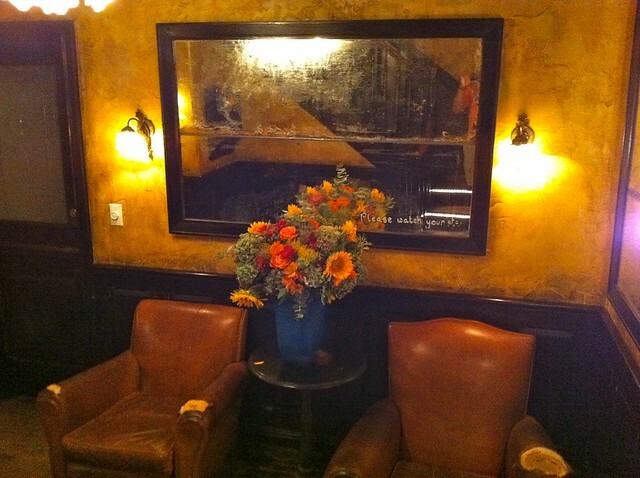 Once you get in, you can’t help but notice the beautiful interior of the restaurant. 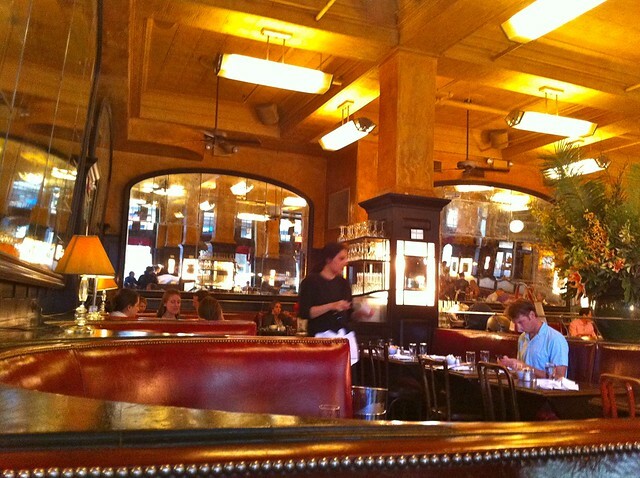 It’s like being transported to an old brasserie in Paris. 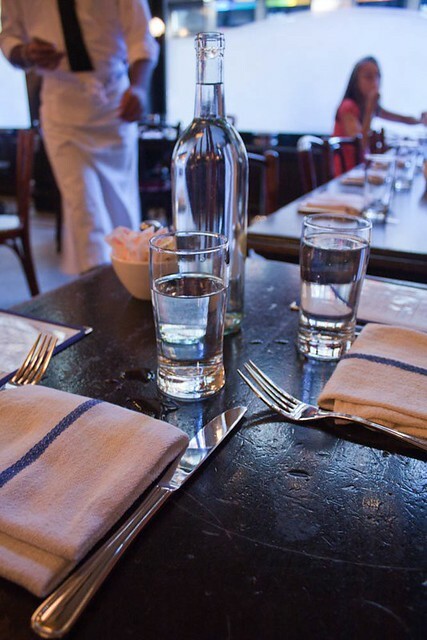 Even the table setting is elegant but simple. 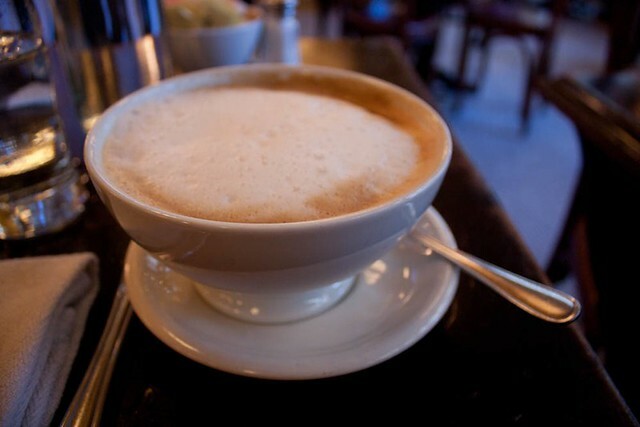 After being seated, I ordered the “bowl” size of cappuccino as I felt like I needed more than just a cup of coffee. I had no idea they were serious when a bowl size is ordered. It certainly kept me buzzing all day! It took some time to decide what to get but we both ended up ordering eggs benedict with homefries. We needed as many calories as we can to start the day. 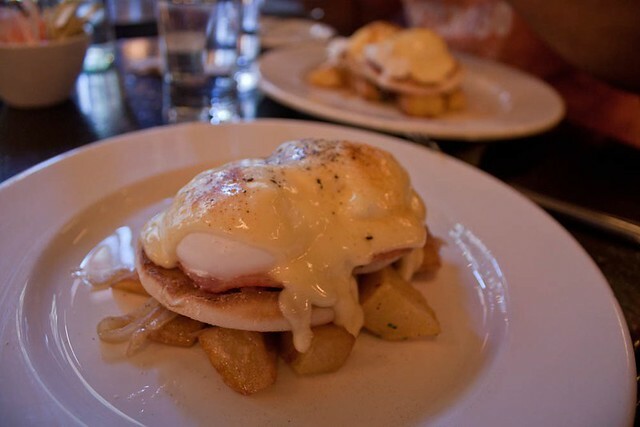 Mmm… just look at that mouth-watering hollandaise sauce and how it perfectly covers the poached eggs. I admit, before we left I was curious to see the washroom. I do believe you can tell a lot about a restaurant after seeing the washrooms and how well-maintained they are. 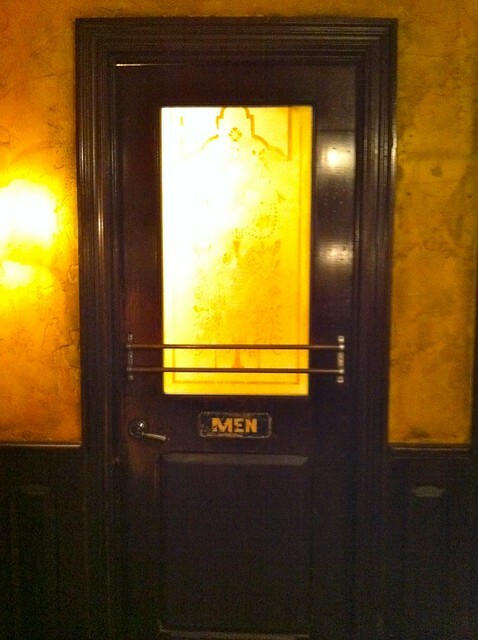 In case you’re wondering, I didn’t take any pictures inside the men’s washroom. That would be too weirdly inappropriate. You just have to take my word that it is very nice and clean inside. However, I took a few snapshots outside the washrooms. There is even a small area with very comfy club chairs to sit on. 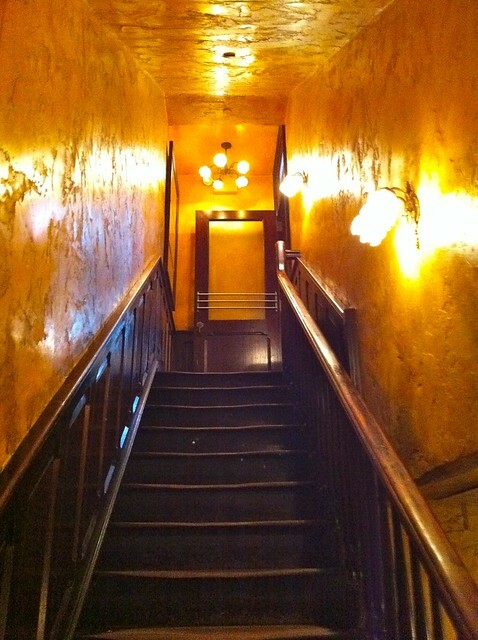 Here’s a snapshot of the stairs leading up to the main floor of the restaurant. Gorgeous isn’t it? You thought that was it, right? 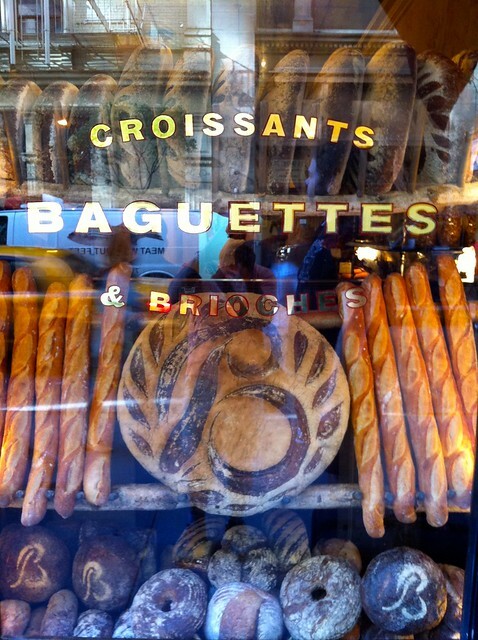 We did too until we saw next door they have an adjoining bakery. We had to at least check it out! We still had room for something sweet. Here is what we came out with. 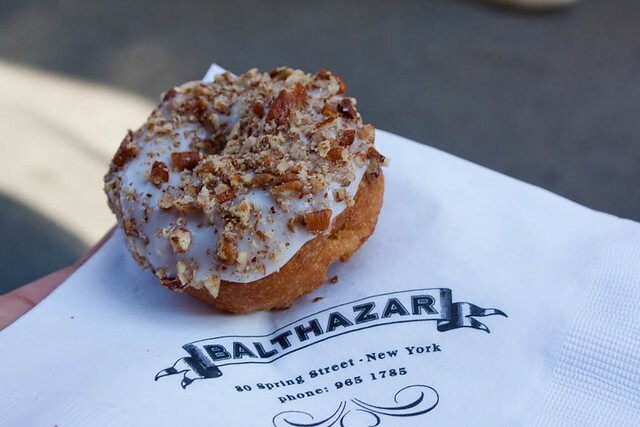 A deliciously dense and sweet sticky bun, and a delectable cake donut topped with vanilla glaze and toasted pecans. Yum! Next time we’re in New York, we will be back here for sure and try their steak for a late-night supper… and perhaps some desserts! This entry was posted in Food & Drink, Places & Travel. Bookmark the permalink. Post a comment or leave a trackback: Trackback URL. For a second, I thought you were in New York right now… for the long weekend. Then I would have been really jealous! I wish I was there! Hey, you’re the one who is going on a long vacation pretty soon. was surfing the web when i was directed your blog. 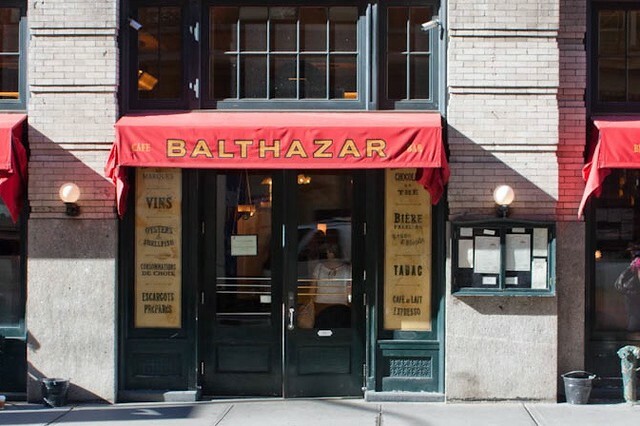 nice review about balthazar. 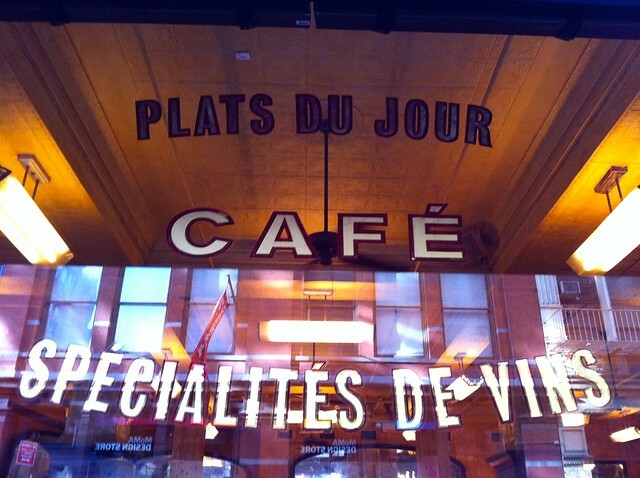 i love the place as well but not during lunch & dinner. the place gets very crowded. holding a conversation with the person in-front you requires shouting.